Permindar Kaur b.1965. 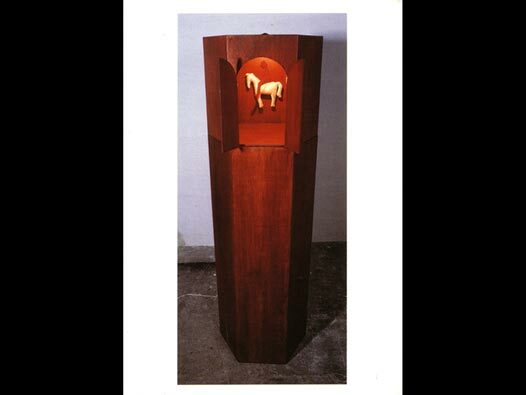 Image: Tower/wood and satin © Permindar Kaur 1996. Reverse side contains a sticker with an address in London for Permindar Kaur. Image relates to the exhibition Cold Comfort.